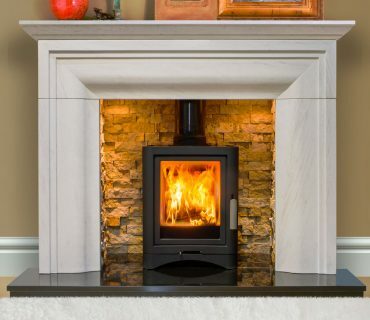 Fireplace Studio Brighouse is delighted to have acquired the Brighouse Stove Centre as our dedicated stove division. 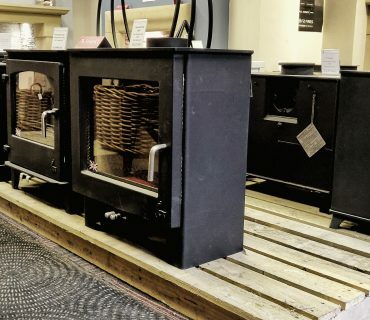 Our new showroom on Huddersfield Road, Brighouse, is packed with the finest stoves, including woodburning stoves, multi-fuel stoves and accessories. Our huge January sale is on and this year it’s bigger than ever! 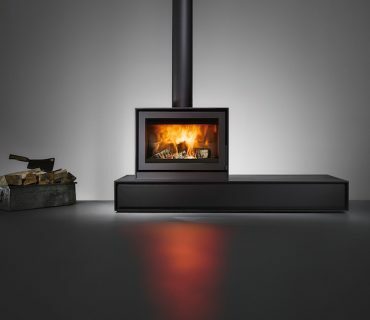 Wood burners and electric stoves are two very different fireplace solutions. There are many differences, from the way they are installed and the kind of atmosphere they will create in your home. Of course, they function very differently too. But the most important question often is, how effectively will they warm up the room they are in? Choosing between the two is not easy, read on to see how electric stoves and wood burners weigh up against each other. 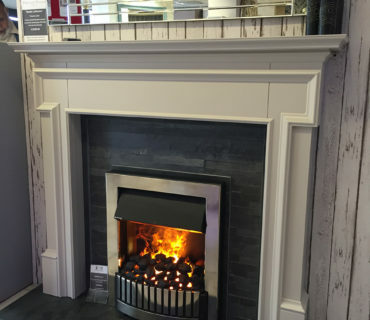 We now have the ability to match any major paint supplier to suit your tastes and our stunning wooden fireplaces. Call in and see our whole range today! 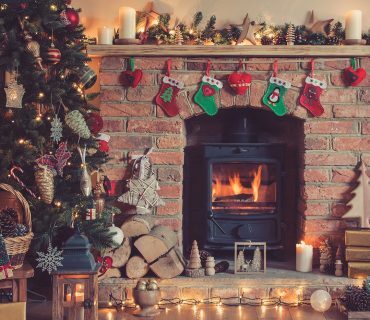 We believe the fireplace should be the focal point of the room, so adding Christmas decorations to make it a festive feature is a must! Especially because the chimney is Santas access point, so it needs to look nice for when he comes to deliver the presents. Bellfires have been creating top quality fires since 1928. The Dutch manufacturer is well known for efficiency and sustainability and is a market leader in innovation and design. A new fire or stove should not be an impulse purchase, there are many things to consider to make sure you make the right decision for you and your home. The first thing you’ll want to consider is the fuel type. Are you looking for real, dancing flames of a woodburning appliance, or do you want convenience and instant heat from gas? Or you may want spectacular colours and LED lighting from an electric stove or fire. Although often contemporary looking, hole in the wall fires have actually been around for many years. 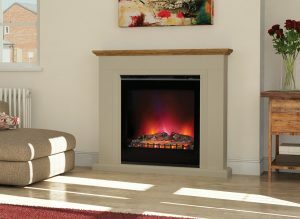 The way fireplaces are being installed has changed thus increasing the popularity of hole in the wall fires. Hole in the wall fireplaces traditionally required a hearth to be mounted on the floor in front of the fireplace. Today however, selected designs have been officially tested and approved to be installed without the need for a hearth. During the summer months, it’s easy to forget about your stove or fire. But if you have any problems with your fire, it may not be wise to leave it until the last minute to fix any issues or get it replaced. 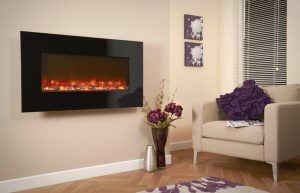 In recent years we have seen a rise in popularity in electric fires. This could be down to the fact that there are so many stylish designs available. 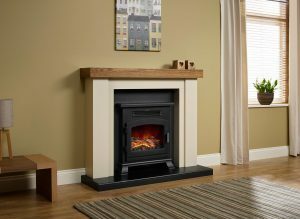 Or because they are an attractive option for renters, as they are pretty much plug in, and play – with no need for alterations to a property, which is more associated with wood burning stoves or gas fires. Many electric fires can be moved from room to room or house to house easily too.